Biscuits are such a comfort food…can any food remind us quite so much of home? They’re perfect any way you want them: served with your egg breakfast, with a delicious bowl of soup, or smothered with butter and jam. These fat, flaky mounds are just begging to be drowned in gravy, jam, lemon curd, or honey! Hungry for something heavier? They are wonderful layered with ham and cheese or smothered in sausage gravy alongside eggs and grits. The options are endless! 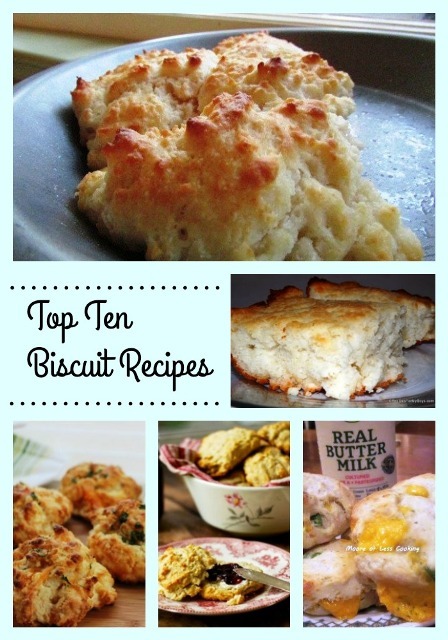 Scroll down and don’t miss a single one of these biscuit recipes! This post originally aired on Parade, Community Table. Written by Nettie Moore. I would love to make the Low Carb Biscuits but I don’t see the actual recipe – how much of each ingredient? Thank You – everything looks wonderful!